ALTAMAHAW , N.C. ( Sept. 5, 2005 ) – Burt Myers and Junior Miller were winners in NASCAR Whelen Southern Modified Tour action, in a special Twin 100-lap event held Monday at Ace Speedway. Myers, of Walnut Cove, N.C., won the first 100-lap race while Miller, of Pine Hall , N.C. , captured the second half of the Labor Day doubleheader. Myers won the Bud Pole with a fast qualifying lap of 14.950 seconds (96.321 mph) on the 4/10-mile track. He then started the first race on the outside pole position, following the Tour's re-draw of the top six qualifiers. After stealing the lead from his brother, Jason, on the opening lap, Myers paced the field for the entire 100-lap distance in the first race. Connecticut 's Ted Christopher, fresh off his big victory Saturday night at Martinsville ( Va. ) Speedway , finished second in the first race, followed by Jason Myers, Brian Loftin and Alex Hoag in fifth place. At the start of the second 100-lap race, Myers drew the first starting position and led the opening 65 laps, at first trailed by Brian Loftin and Jason Myers. Jay Hedgecock made a quick charge on the outside of Myers and Loftin and began challenging Myers for the top spot soon after the second race was underway. Miller, who started ninth in the second race, worked his way forward in the first 25 laps and joined the Myers brothers, Hedgecock and Loftin in the top five. The front of the field was shuffled on the 36th lap, when Gene Pack spun in turn two and brought out a caution flag. Hedgecock briefly lost control of his No. 41 Chevrolet and also spun as the field slowed. Hedgecock yielded his runner-up position to Loftin while Miller slipped past Jason Myers into third. After the restart, Miller jumped past Loftin and ran in the second position as Burt Myers continued to lead. Michael Clifton, who completed just three laps of the first race due to power steering problems, was a top contender in the second race. Clifton advanced from the last starting position and was up to third, behind Myers and Miller, at the halfway point of the second race. Miller made his move for the lead on lap 66, blasting past Myers on the backstretch and on to his second Tour victory of the season. Clifton stayed in the third spot while Loftin and Hoag rounded out the top five positions in the second race. In the season-long championship battle, Myers temporarily gained a lead over Miller by winning the first race, however Miller's win placed him back in the points lead, by a four-point margin over Myers (1,262-1,258). Loftin is ranked third, 90 points out of first place. 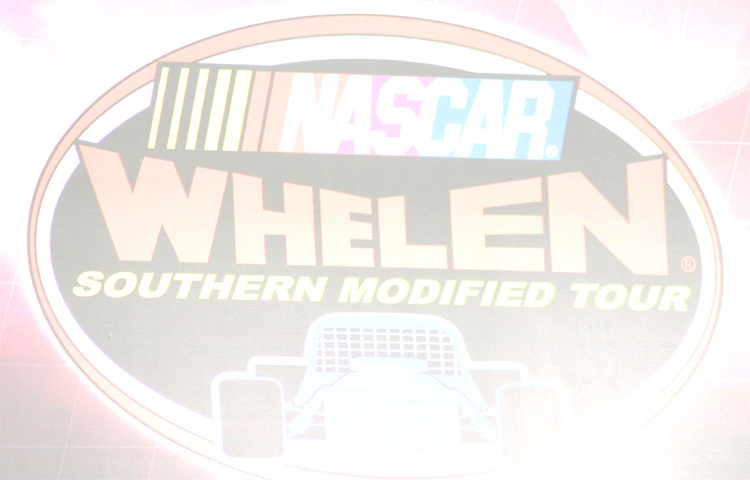 The Tour's next stop is Caraway Speedway, in Asheboro , N.C. , on Sept. 10. Caution Flags: Laps 32-33; 91-94. 2 for 6 laps. Lap Leaders: Burt Myers 1-100. Total Laps Led: Burt Myers 100. 0 lead changes. Brian Loftin, Lexington N.C .
Bobby Hutchens , Lexington N.
Caution Flags: Laps 37-38. 1 for 2 laps. Lap Leaders: Burt Myers 1-65, Junior Miller 66-100. Total Laps Led: Burt Myers 65, Junior Miller 35. 1 changes involving 2 drivers. .